Known as a semi-rural suburb, Dural is far removed from the chaos of the city and offers a peaceful lifestyle. Many homes in this beautiful suburb feature large stretches of acreage that allow the locals to show off their impressive gardens, bespoke architecture and stunning feature walls. With a strong demand for landscaping services in Dural, there is no shortage of providers. But for the best customer service and attention to detail for your outdoor space – look no further than Dual Group. At Dual Group, we understand your property is a valuable investment and something you should be proud to call your own. Our landscaping services cover all aspects of the external building and the surrounding space. This includes acreage mowing and hedging, plant and turf laying, irrigation and fertilisation, weed control, clean up and waste removal. 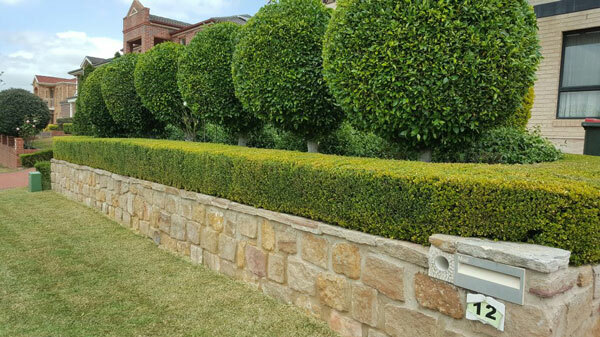 Our landscaping services in Dural are available for a one-time treatment or regular appointments to keep the area in tip-top shape all year round. If you are a business owner or strata property manager – we will never ask you to sign a long-term contract agreement. Only eco-friendly products and sustainable practices are used to preserve the health and beauty of your garden and outdoor features. We are more than just a ‘Mow, Blow and Go’ company. We take the time to treat your landscape with care so that it can continue to produce new life… and impress the locals for many years. You have better things to do than be on the ground picking up weeds. By taking care of the landscaping, you have more time to focus on the things you care about. Besides the convenience, our honest and reliable service will put you at ease knowing your garden is looked after. It is this trustworthy service that keeps the locals coming back to Dual Group for landscaping services in Dural. By taking into consideration the existing environment, we preserve the most cherished parts of your garden and make sure each element works together with little need for maintenance. Garden maintenance can be time-consuming. Simplify your landscaping needs with passionate gardeners from Dual Group. Call 1300 303 539 to book an appointment. For all your landscaping services in Dural, look no further than Dual Group.